Your job is to find the balance between what is best for the employees yet fiscally responsible for your company and, when choosing ProScan, you accomplish both! 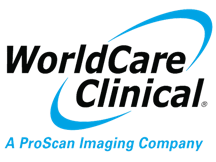 Why ProScan Imaging is the preferred imaging provider for YOU! At ProScan Imaging we provide cost savings to both employers AND employees. By having your employees choose ProScan, you can save your company up to thousands of dollars! The savings also helps reduce your employees’ out of pocket cost and ultimately helps control the employer’s cost increases at renewal. At ProScan Imaging we pride ourselves on offering high quality medical imaging and expert reads (subspecialty interpretations) at a cost effective price. The patients receive the same quality as at the hospital, if not better. The patients receive the same care as at the hospital, if not better. We are able to save cost for the employer AND employee. We offer convenient hours and locations. Choosing ProScan Imaging is a win, win decision! Does your company host any Health Fairs or Wellness Events for their employees? At ProScan Imaging, we would love to be a part of any health and wellness events that take place at your company! Please contact us at 513-924-2110 if you are interested in having us participate. ProScan Imaging has a presence in the following markets. For detailed information, hours, and driving directions, click on an imaging center location below. Over 99% of our patients recommend us!